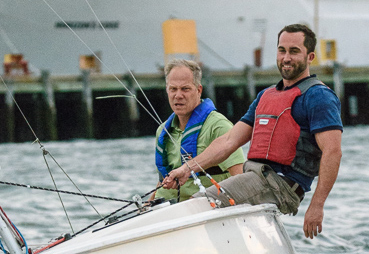 Every spring, the Courageous Corporate Challenge brings teams from businesses in and around Boston to race on company-sponsored boats on Boston Harbor. They take part in the name of friendly competition and in support of Courageous Sailing’s Summer Youth Program. 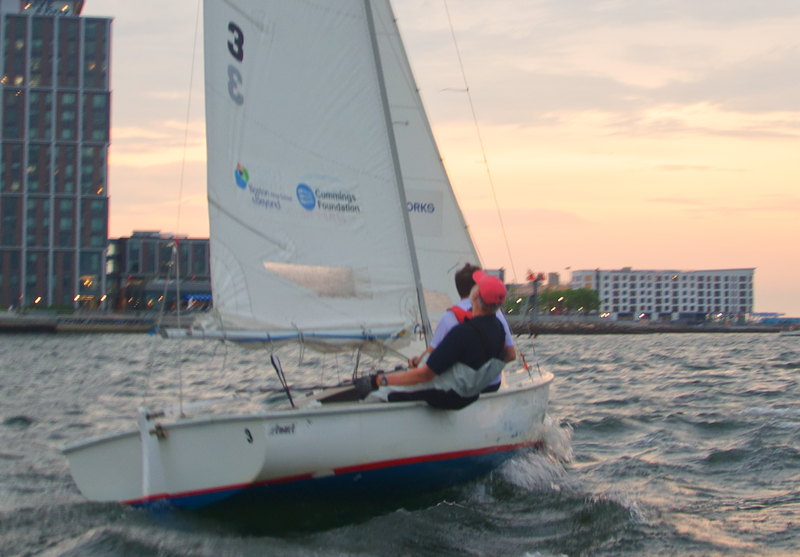 Monday nights in late May and June, seasoned and novice racers alike set sail off of Pier 4 in the Charlestown Navy Yard for some fast-paced, college-style, short-course keelboat racing. Racers are welcome to sail their own boat, and for those new to sailing, Courageous skippers and instructors are available to take the helm or join the crew for on-the-water coaching. At sunset we return to the dock and gather under the tent for catered food and drinks and some of the best views in Boston. It makes Monday evening feel like Saturday night. 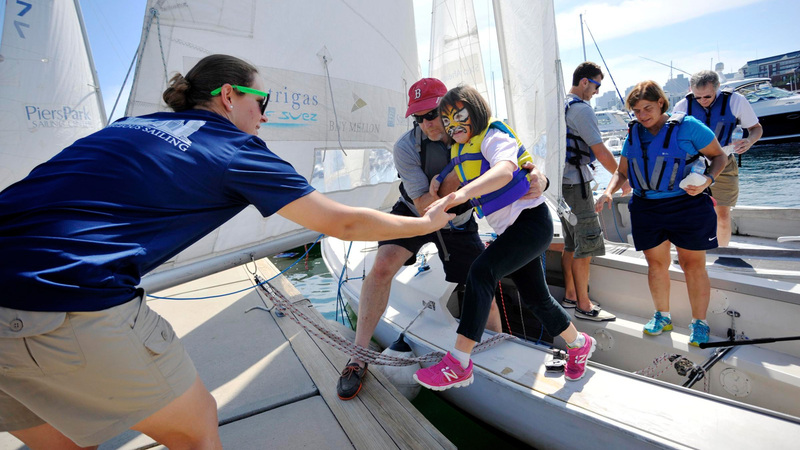 Courageous Sailing serves approximately 1,000 children each year, many of whom would not otherwise have the opportunity to learn to sail or experience the ocean. Courageous Sailing transforms lives through sailing programs that inspire learning, personal growth, and leadership. 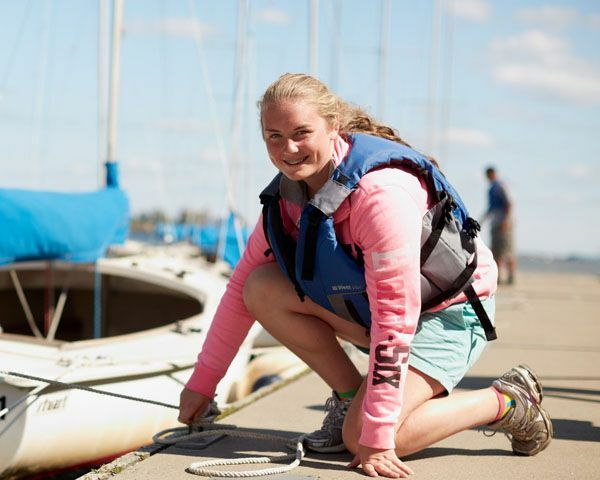 We offer a sports-based youth development program that uses sailing, swimming, and related STEM education as platforms for social-emotional growth and out-of-school-time learning. We are committed to removing barriers that have traditionally prevented marginalized youth from participation, and our programs are free of charge to those in need. As our students master sailing skills in the decade or more they spend with Courageous, they also build confidence, resilience, teamwork, environmental stewardship, and other skills necessary for success on the water and in life. 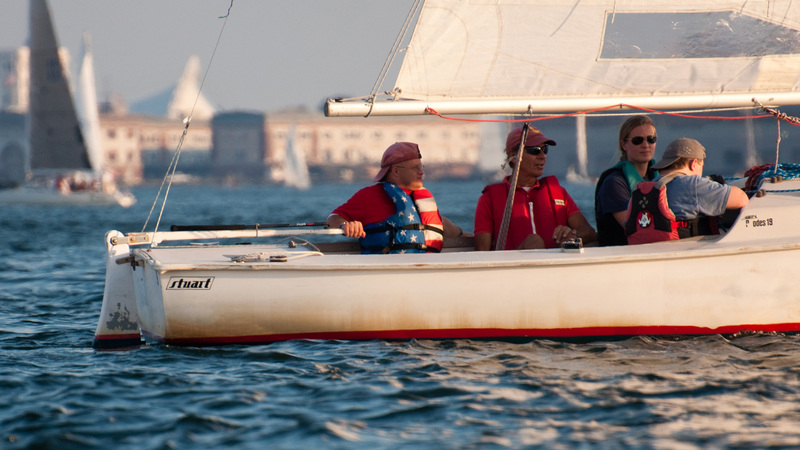 Kick off the season with your company team, then enjoy sailing all season long. 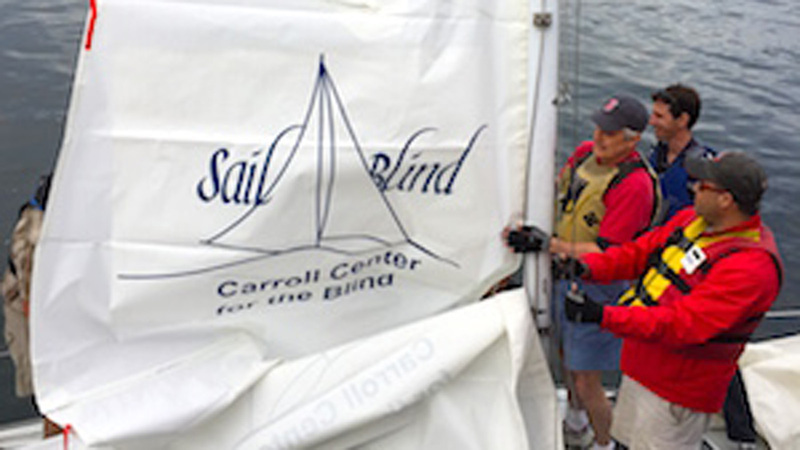 Each team competes with their company name and logo proudly emblazoned on their boat’s jib sail, which remains on the boat throughout the entire season. Use your company’s Challenge boat as a weekly perk for employees (Courageous will be happy to provide an expert skipper), or commit a dedicated team to the cause and try to win it all. Either way, it’s sure to be a fulfilling way to spend a Monday evening while supporting Courageous’ mission to provide sailing as a platform for life-long learning and growth to marginalized Boston youth. 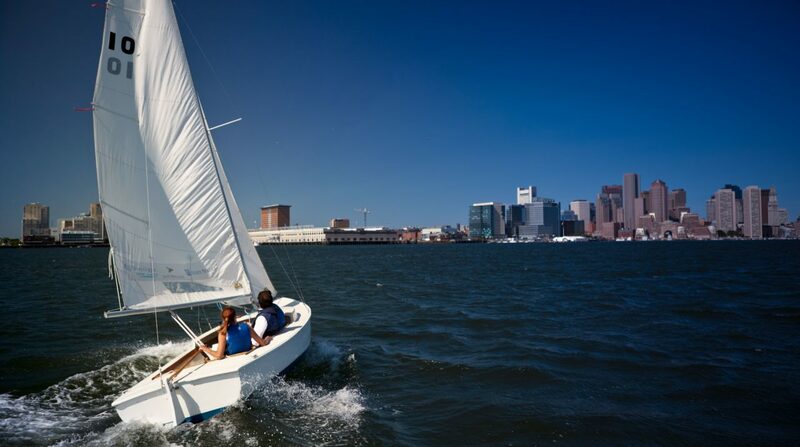 And the fun is not limited to Monday nights in June - all participants enjoy a Courageous corporate membership, making it easy to keep sailing on Boston Harbor all summer long. Has your company participated in the Challenge in the past? For how many years has your company participated? Credit Card Check ACH Bank Transfer A small fee is included for credit card transactions to cover the processing fee. Submit this form and then contact Natalie Le by phone or email for ACH Transfer details.